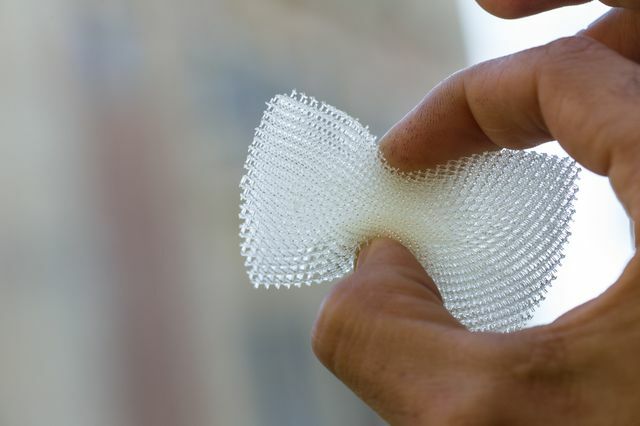 Architected Lattice, a new material designed to replace the foam inside football helmets, absorbs energy from the impact of collisions in order to help prevent concussion and traumatic brain injury. 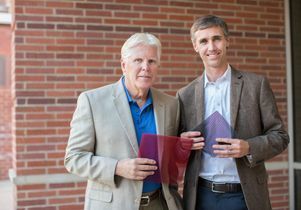 A team of researchers from UCLA and Architected Materials that is developing breakthrough technology to reduce the number and severity of head injuries to football players today was named a winner of the Head Health Challenge II. The Head Health Challenge is part of the four-year, $60 million Head Health Initiative, which is sponsored by the National Football League, General Electric and Under Armour. It is focused on improving the prevention, diagnosis and treatment of concussions and traumatic brain injury. Seven winning research teams were selected from among more than 450 Head Health Challenge II entrants from 19 countries. 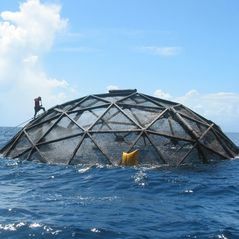 The award comes with a grant of $500,000 for research, testing and development of the technology in the first year, with the potential for another $1 million in the second year. The UCLA–Architected Materials group is developing a novel, energy-absorbing microlattice material, Architected Lattice, to improve the performance of football helmets. The material, designed to replace the foam used inside of today’s football helmets, will help prevent concussion and traumatic brain injury by absorbing energy upon impact while limiting peak loads. Architected Lattice is light and breathable, and can be enhanced with a strain-sensing “smart lattice” to detect and transmit data about the impact of a collision. This data could help engineers and product designers make further improvements in helmet design and performance. The research team includes material designers from Ventura, California-based Architected Materials, mechanical impact experts from UCLA Engineering, and brain science specialists at the David Geffen School of Medicine at UCLA. Along with Carlson, the research’s principal investigators are Alan Jacobsen, co-founder of Architected Materials, and Dr. Christopher Giza, director of the UCLA Steve Tisch BrainSPORT Program and a professor of pediatrics and neurosurgery. 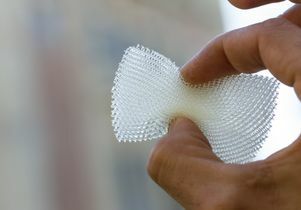 “One of the key innovations with our Architected Lattice technology is that it can be manufactured quickly and cost-effectively, which differentiates our technology from traditional 3-D printing techniques,” Jacobsen said. In preliminary tests, the material has outperformed commonly used vinyl nitrile for reducing transmitted peak force, a key metric for helmet pads. With more than 500 neuroscientists throughout campus, UCLA is a leader in research to understand the human brain, including efforts to treat, cure and prevent traumatic brain injury and brain disorders such as Alzheimer’s disease and epilepsy. The BrainSPORT Program was founded by Giza in 2012 and supported by a $10 million gift in May 2014 from philanthropist Steve Tisch. In this video produced by General Electric, Under Armour and the NFL, researchers display a new helmet liner that absorbs significantly more energy than current materials, better protecting athletes from brain injury. Larry Carlson of UCLA’s Institute for Technology Advancement and Alan Jacobsen of Architected Materials.